Today is Christmas Eve by the old calendar, and is still celebrated by millions of people around the world, especially in Eastern Europe. The 6th of January is also the date of the beginning of Koliada, an ancient Slavic winter festival that predates Christianity. The festival is now incorporated into Christmas festivities. Koliada in the Mogilev region of Belarus at Christmastime in 1903. The festival in Lviv, Ukraine. Today is Ukrainian Independence Day (such as independence is for Ukraine at the moment). Here is a 1960s photograph of a man performing the Hopak, Ukraine’s national dance. Ukrainians in Castle Mountain concentration camp in 1915. The 22nd of August, 1914 saw the passing of Canada’s War Measures Act. The act would result in government-sanctioned human rights abuses against Canadians of largely Ukrainian origin. Ukrainians were declared “enemy aliens” and thousands were put into concentration camps to be used for slave labour across Canada. They were seen as enemies because the western regions of their homeland were under Austro-Hungarian rule at the outbreak of the First World War. Some 80 000 Ukrainians who weren’t imprisoned were still required to register as enemy aliens and barred from leaving the country. 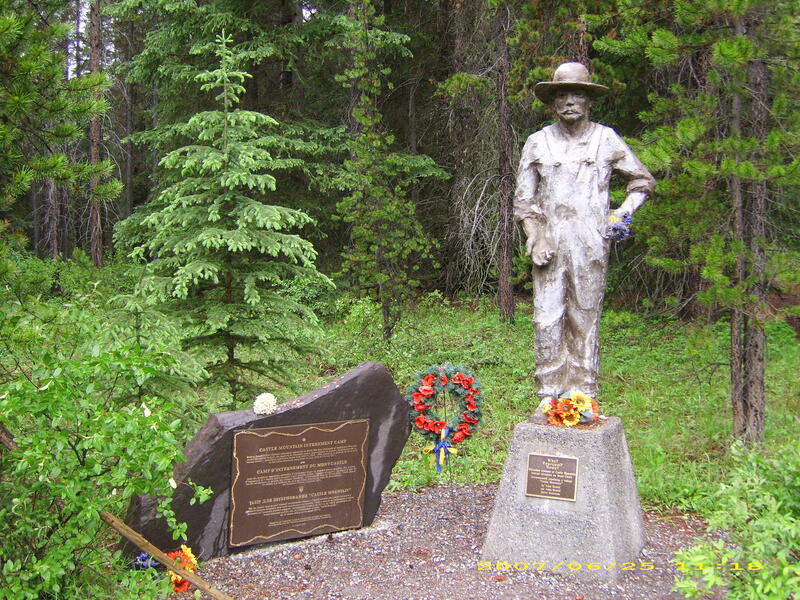 Plaque and statue at Castle Mountain near Banff. 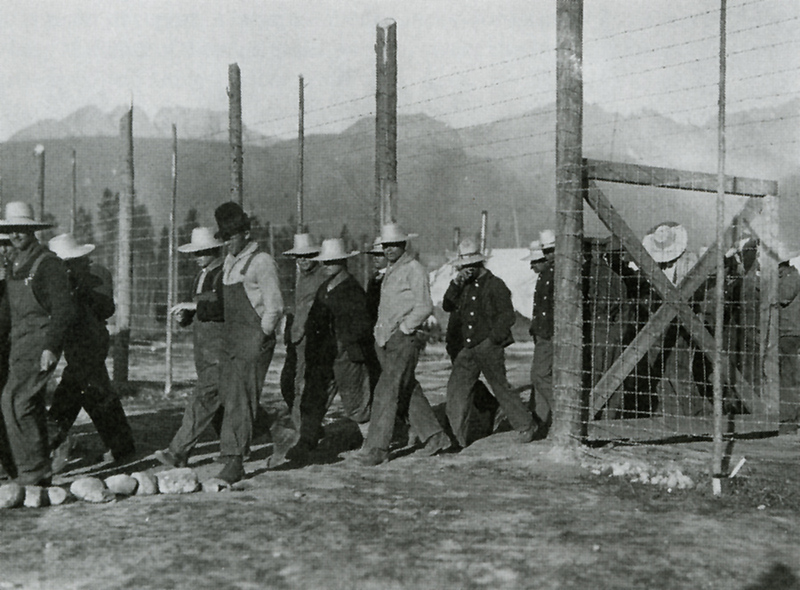 The infamous Castle Mountain Internment Camp in Alberta saw prisoners used to work in the national parks, where they established the groundwork for the massive tourism to Banff and Lake Louise seen today. Abuses at the camp were widespread, and were reported as far away as Britain. Internment continued for two years after the war ended. Ukrainian cemetery at the Kapuskasing Internment Camp in Ontario. The internment of ethnic groups was widespread across many countries in both the First and Second World Wars, including in Australia and the United States, though the internment of Japanese Americans in the 1940s is generally the only instance most know of. Eastern Catholics and Orthodox Christians celebrate Easter according to the old calendar. In 2018, Good Friday falls on the 6th of April. This is an old Ukrainian Easter postcard by Oleg Kovalenko. A memorial to the dead I photographed in 2016. Today is the fourth anniversary of the end of Ukraine’s Euromaidan revolution. On the 20th of February, 2014 pro-Russian snipers took to the streets and shot and killed as many civilians as they could manage. Snipers in the same spot the memorials are now. The revolution resulted in overthrowing the corrupt, dictatorial oligarch in charge of the country, but he fled to Russia and paved the way for Putin’s invasion shortly afterwards.